We offer options for hologram boxes that are especially for advertising and promotions in shopping malls. This is a very large box in which people can see the hologram from all 4 sides. It is not one flat image but a complete 3D animation that can be seen from every angle. 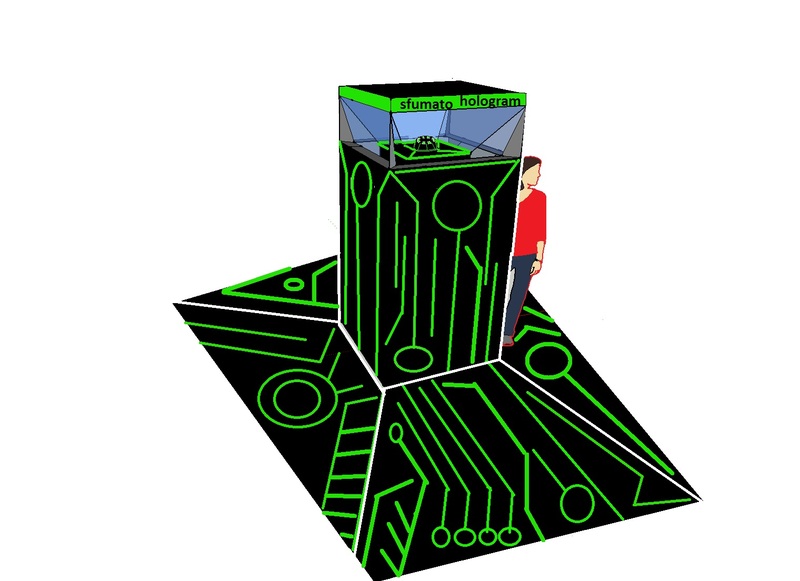 With this we can show any product in 3D, making this the very latest in advertising. Holograms always draw large crowds. The box is big and eye catching. 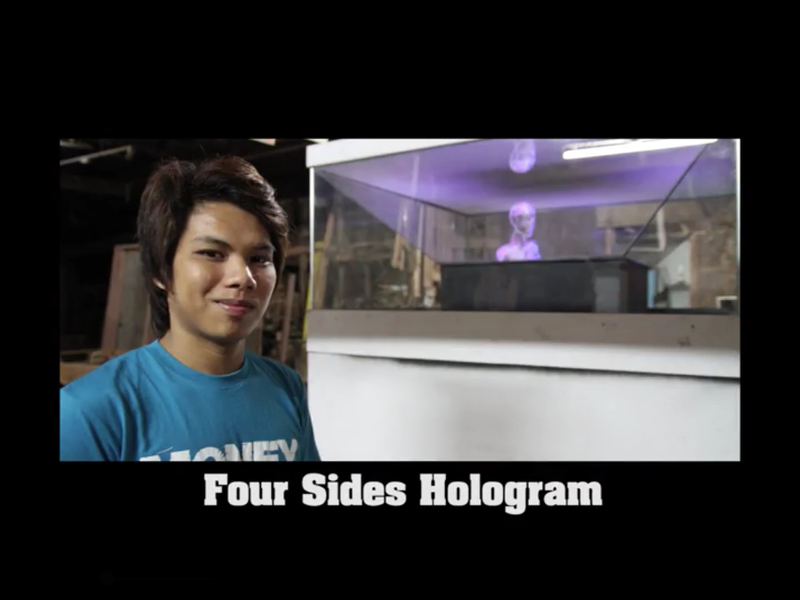 Shop owners and companies can rent time to show their holographic content inside. With this concept we can give everyone the oportunity to present their product or company in an astonishing way. 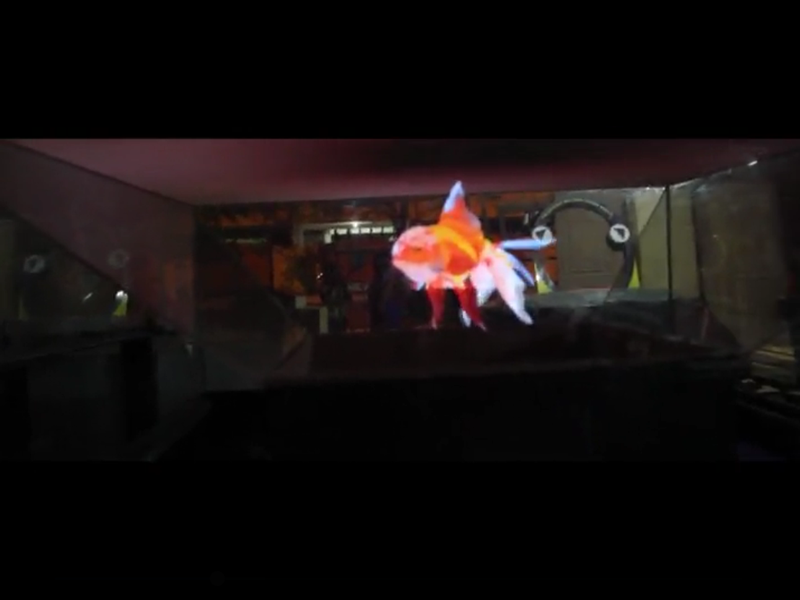 Sfumato can also provide the hologram content. We can make the animations for you and optimise them for presentation in the box. Would you like to have one in your mall or museum? Ask us for pricing! Interesting in advertising in the box? Feel free to ask for availabillity and pricing!